Click on the buttons below to leave a review on one of our social media sites! My car needed a 15k mile service and also an oil change. My experience here has been wonderful. They were able to schedule me first thing the next day and Paul made sure to get me the best price he could. They were having a special for the 15k oil change and he also was able to tack on a few more discounts he could find! They told me that the work would take about 2 hours and because I had to work, they provided me a ride to and from work while my car was being serviced. I also met Tom, who I believe worked on my car and he was so helpful and a delight to converse with! I look forward to my next visit here, as the customer service is excellent and they genuinely care and ensure that you have the best experience! Everyone loves getting a new car but the buying process can be dreadful. But I'm so happy to report to my fellow Yelpers that I am SO pleased with the car buying experience I had today at Universal Mitsubishi. I made an appointment with their online sales rep, Tiki N. I was very up front about the deal that I would be comfortable with and instead of just agreeing to get me in there, she actually made it happen. The entire staff was warm and welcoming. Other sales people offered me coffee. Even the finance guy was cool! I thought I was dreaming. I left there with a beautiful vehicle and a smile on my face. I wholeheartedly recommend contacting Tiki if you're considering a Mitsubishi. This is my 4th, btw. Excellent cars. ust spent a few hours at Universal Mitsubishi; found a smoking deal on the internet. Within minutes of my inquiry on the internet, I received a reply from Tiki, their internet Sales Manager. Within an hour, got a call from Tiki asking about my interest in the car and made arrangements to meet the next day. From the time we walked into the dealer until the time we drove off with the new car, Tiki had to be the most friendly, professional, caring associate I've ever dealt with at a dealership. Tiki methodically walked us through each step of the process, making the difficult car buying process one that I've never experienced; relaxed, comfortable, friendly, and personal every step of the way. Tiki demonstrated those traits any customer would welcome when walking into a stressful time. If you ever plan to buy a 'new' used car as we did, please please give Tiki the opportunity to give you the excellent customer service as we received. Thank you Tiki for your expertise, professionalism, and downright friendly customer service! I would repeat the process in a heartbeat if I knew Tiki was going to be my service advisor. I buy a new car every two or three years because I am fickle. I am a woman who wants what she wants. I just happen to change my mind whenever the wind blows, so I am constantly trading in my cars. With that being said... I just bought my 15th car and I had THEEEEEE BEST EXPERIENCE! I drove all the way from Irvine to look at my new car. I had prepared myself the whole way up to Duarte, for the "NO" - Almost surprised, Tiki made it happen! There are no words to describe how fantastic Tiki is. We made fast friends. It was like we've known each other for years. We talked, we laughed, we really connected. She honestly took personal interest in making sure that I was given the best deal possible. I'm pretty good at spotting the fake and sleazy salesperson. Tiki is far from that!! She is absolutely amazing! Let's talk about the guys in Finance. *Fab-u-lous * Bless their hearts for working so hard in finding the right loan for me. Remember, I buy every few years and that means I'm normally upside down. This time I was doing somersaults. If it weren't for the extra work that Tiki and the Finance team put in, I would have driven home in my boring little car. Instead, I rolled out of there with cash in my pocket, a GREAT interest rate and a brag worthy 2016 Mercedes!! Thank you everyone who had a part in making me the happiest girl in OC. I love my car but, you know me.... I will be back when the wind blows! You've definitely earned my business! At Universal Mitsubishi we take customer satisfaction very seriously and are always trying to improve to make your experience better. 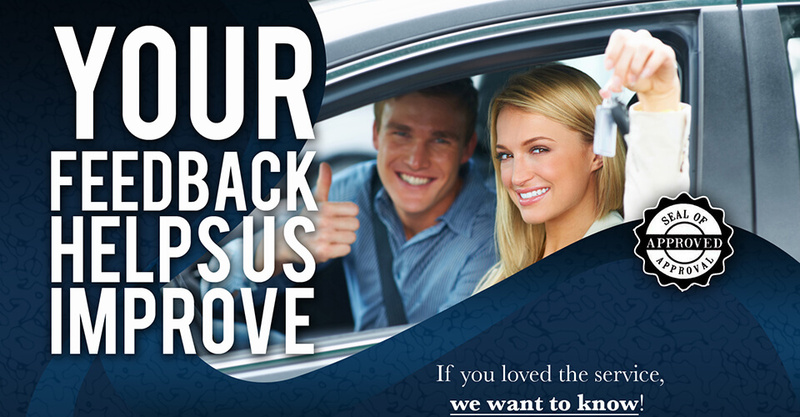 Whether you bought, leased or serviced any car here we would love to hear your feedback. With your feedback we can continue to improve and make future visits even better.